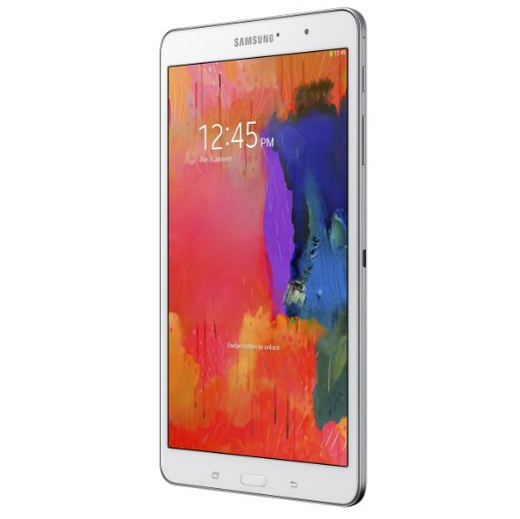 Thanks to its "just right" size and low price tag (at least relative to the other members of the Tab Pro family), the Galaxy Tab Pro 8.4 is my pick of the litter. 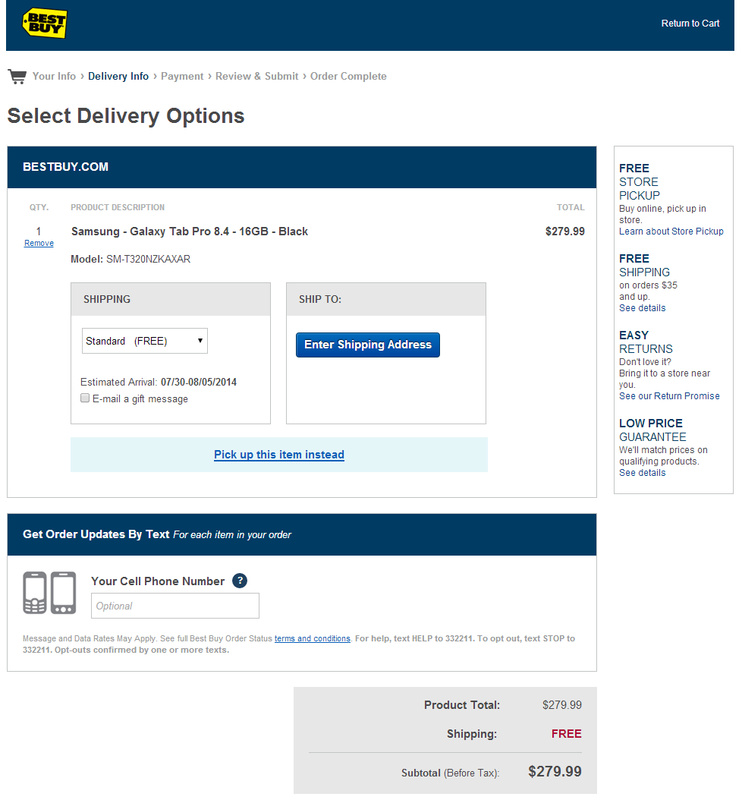 And if you'd like to pick one up for even less, Best Buy is offering a new one for a whopping $120 off of retail. You can get a white or black Tab Pro from the big box retailer in its base 16GB configuration for $279.99. Not bad at all, even when you compare it to Amazon's current price ($330). The 8.4-inch tablet has a lot to recommend it, starting with the same 2560x1600 screen resolution as its larger siblings. Even for a smaller tablet (which Samsung tends to stick with cheaper specs) the hardware is up to snuff, including a 1.9Ghz Exynos 5 processor, 2GB of RAM, an 8MP rear camera with flash, and a hearty 4800mAh battery. Like all of Samsung's tablets as of late it uses Android 4.4 underneath a rather heavy TouchWiz skin, and you can augment the meager storage with a MicroSD card. It's also got physical navigation buttons, which you'll just have to live with if you want a Samsung design. Don't panic if you don't see the reduced price immediately; you'll have to get almost all the way to checkout to see the discount. Shipping is free, and Best Buy should be able to accommodate you with in-store pickup at most retail locations. As for alternatives, the 8.4-inch Galaxy Tab S is very similar save for a stunning Super AMOLED screen panel, but it will cost you at least $400. For a few dollars over the sale price of the Tab Pro 8.4 you can get the just-launched 16GB SHIELD Tablet. With its insanely powerful Tegra K1 processor and gaming features, it's certainly worth thinking about.